Dr. Cory Yeh, MD, an Orange County Facial Plastic Surgeon hosted an open house on February 10, 2010 celebrating the Grand Opening of his new facial plastic surgery practice. Family, friends, and colleagues all enjoyed welcoming Orange County’s newest Facial Plastic Surgery practice–Yeh Facial Plastic Surgery! Dr. Cory Yeh is a Diplomate of the American Board of Facial Plastic & Reconstructive Surgery and a Diplomate of the American Board of Otolaryngology, Head and Neck Surgery. He specializes in a variety on facial plastic surgery procedures including facelift, eyelid surgery, browlift, ear surgery, chin reduction, lip augmentation, nose surgery and more. 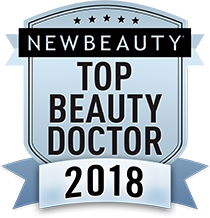 Dr. Yeh uses the latest techniques in facial plastic surgery and has the skill and experience to produce natural looking results. If you are considering a procedure or have any questions, please contact Dr. Yeh and the team at Yeh Facial Plastic Surgery today to set up a consultation.